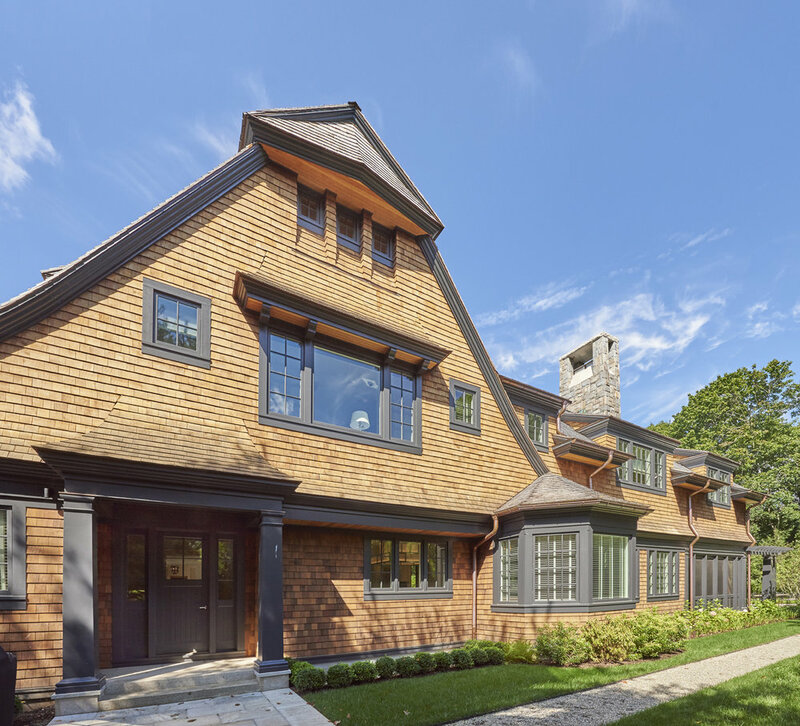 Voted 2017 Outstanding Custom Home 10,000 - 12,000 sq ft. by the Connecticut Home Builders Association HOBI Team, this custom shingle style residence is sited on a large level property in Westport, CT. Cedar shingles, gambrel roof, and extensive landscaping by Wesley Stout Associates with several outdoor living spaces are some of the exterior highlights. 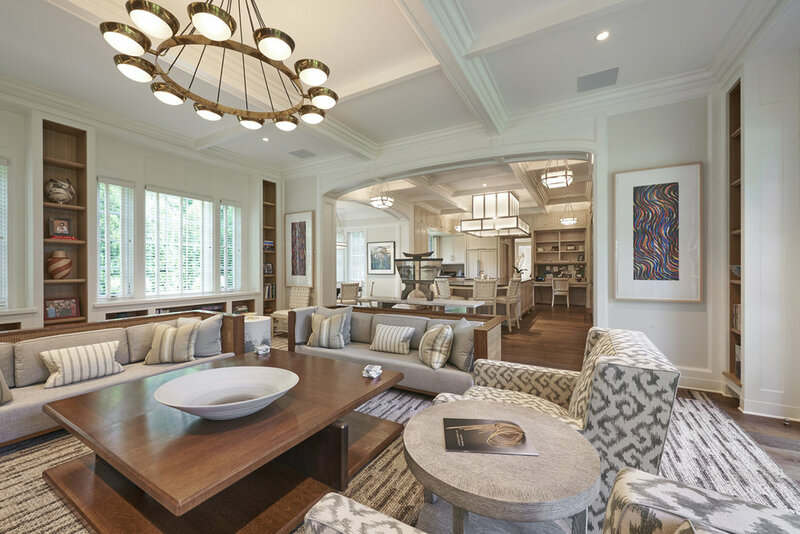 Inside, wide plank oak floors lead guests through bright and contemporary rooms with extensive millwork & built ins, coffered ceilings, and custom cabinetry including a walnut paneled library. 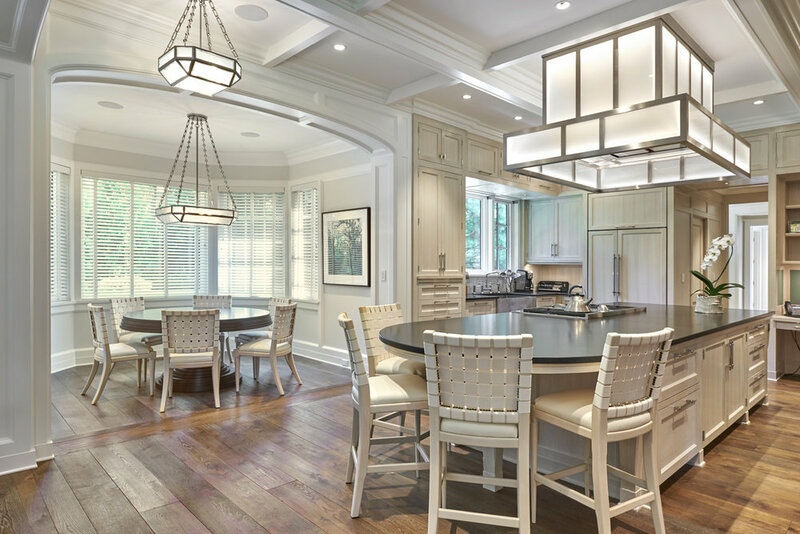 State of the art lighting and stereo technology were also seamlessly integrated into this homes built by Davenport Contracting, Inc. in collaboration with SRW Architects of South Norwalk, CT.
CT Builder & Renovator of Custom Homes in Greenwich, Darien, Westport, New Canaan, Bronxville, Scarsdale & Bedford.